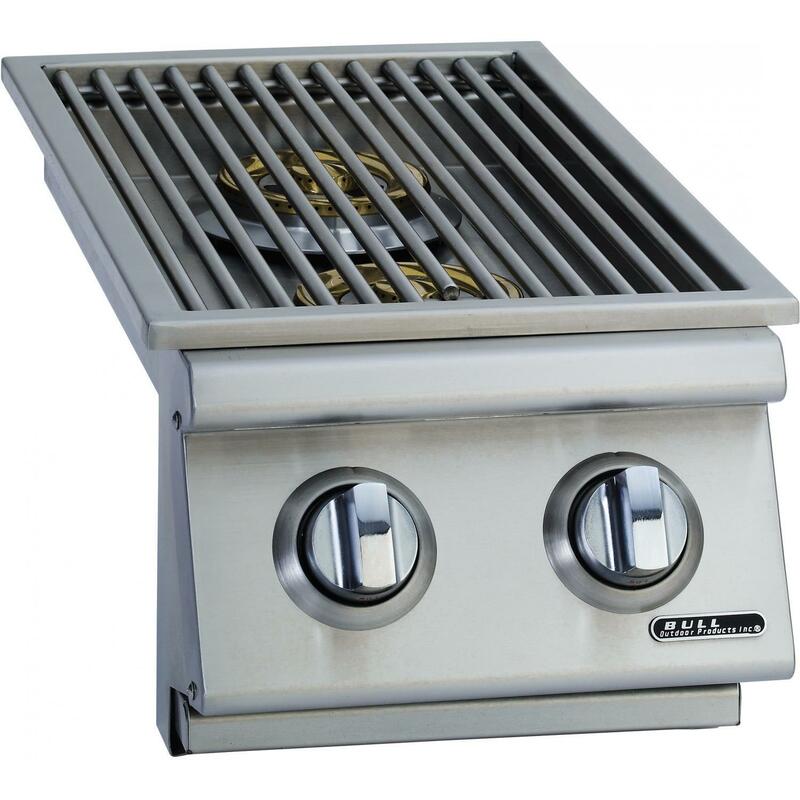 Product Description: Bull Built-In Natural Gas Double Side Burner W/ Stainless Steel Lid - 30009. Upgrade your outdoor kitchen with this double side burner from Bull. This natural gas side burner slides into your BBQ island, and features front and back space saving design. The 30009 gas double side burner features 304 stainless steel construction which combats outdoor wear and tear, and the removable stainless steel cover helps to extend longevity. High-quality brass burners distribute 22,000 BTUs of heating power across the solid stainless steel grates. A side burner is the ideal solution to extending your outdoor cooking options beyond the grill!